We were really hoping things did not end this way, but such is life for the people of Mexico. Tonight the military and federal forces have transported the bodies of the three missing federal police officers that were kidnapped in the area of Buenaventura. 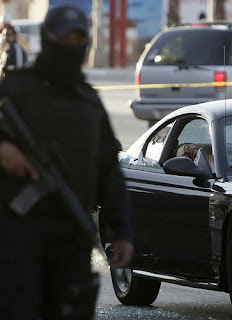 The bodies arrived at the local airport and were sent to the state coroner's office (Semefo) in Juarez for an autopsy. It appears that it was the body of commander Jose Alfredo Silly, Chief of Intelligence and two of his aides. According to media sources, they were found inside a mine in Buenaventura, executed at point blank to the head (tiro de gracia), had signs of torture, and were in the late stages of decomposition. This might indicate that the officers were executed soon after the "levanton" (kidnapping) and were hidden because of the large force of feds scouring the area. The sicarios (hit men) perhaps did not want to attract attention to their location. They usually dump the bodies in a very public place to send a message to the police. 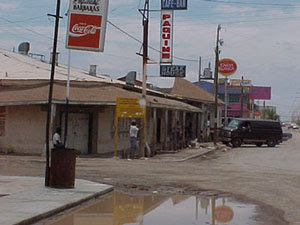 With the continual search for three missing officers of the Federal Police of intelligence (SSPF) who are believed to have been kidnapped by organized crime in the small town of Benito Juárez 13 days ago, the Federal Police did not say why they suddenly left their operation in Ciudad Juarez without any official explanation. They had been part of the task force "Operación Conjunta Chihuahua" (Joint Operation Chihuahua). According to media sources this is the first time that federal forces have completely abandoned an operation that started in March of last year. In mid 2009 half of the troops were sent to reinforce other police agencies against organized crime in Michoacán known as "La Familia." Only a small detachment of 100 federal police remains in the city of Juarez. 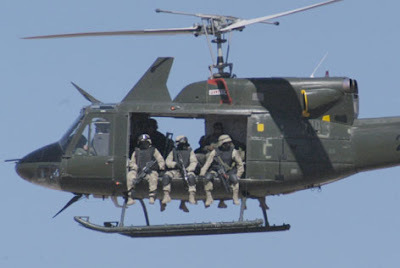 The majority of the federal police, about 3 thousand, were sent to the northwest of the state of Chihuahua to search for the federal officers. The operational coordinator of the State Intelligence Police Corps (CIPOL), Luis Prieto, was attacked yesterday morning while leaving a restaurant guarded by three of his highly trained armed bodyguards. 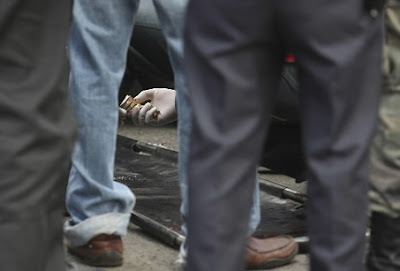 One of the bodyguards died at the scene, while Prieto and the others were critically wounded. What followed was a sequent of events that revealed a process from the Joint Operation Chihuahua of dis-coordination, inexperience and lack of security operational tactics. In addition to the CIPOL officers that were practically surprised by an armed commando, there was the case of the rollover of a unit belonging to the CIPOL that was escorting the ambulance which was transporting the wounded to the hospital. Two more officers were injured in the crash. Subsequently, several soldiers were also hurt when their military vehicle in which they were traveling crashed as it took a red light. The military were on the way to support other lawmen who were investigating an SUV that was suspected of being related to the attack of Prieto. If all this wasn’t such a serious matter, it would be almost comical, more of a lampoon skit than a tactical operation responding to a critical incident. In the sate of Chihuahua the evening is just beginning when all activities start to slow down to a crawling pace. Paralyzed by daily assaults and murders, people do not dare leave the safety of their homes. They feel insecure because violence is prevalent throughout the state and no one has any respect for anyone anymore. For example last Tuesday two gunmen (sicarios) executed the college professor Michael Etzel Maldonado, the main spokesperson for the PRI and the state government. The murder outraged the political establishment and the business community of Chihuahua, knowing that they are also vulnerable. "I feel angry and frustrated," said Gov. José Reyes Baeza. By concentrating resources for police to fight against organized crime, he says, the state has neglected other basic services such as health and education. The governor admitted that the strategy in the fight against crime has failed. The government cannot denied that the growing spiral of violence this year is out of control. 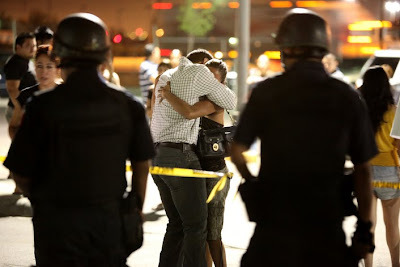 In the last ten months there has been 2,250 murders, while in the whole year of 2008 there were only 1,863. Los Negros is a criminal paramilitary unit of the Sinaloa drug cartel in Mexico. 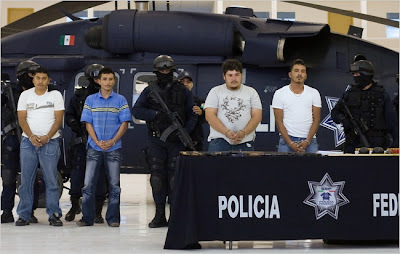 Los Negros was formed to counter the operations of the Gulf Cartel's Los Zetas. Los Negros, also known as the Beltrán Leyva Cartel, is led by Édgar Valdéz Villarreal and overseen by the Beltrán Leyva brothers. Los Negros have been known to employ gangs such as Mexican Mafia and MS-13 to carry out murders and other illegal activities. 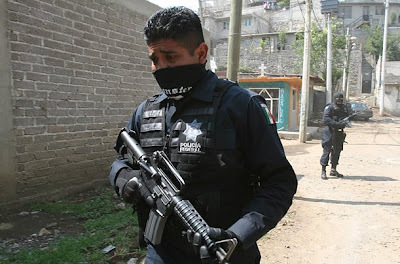 Los Negros have been reported to sometimes recruit from their rival group Los Zetas. The group was involved in fighting the Zetas in the Nuevo Laredo region for control of the drug trafficking corridor. 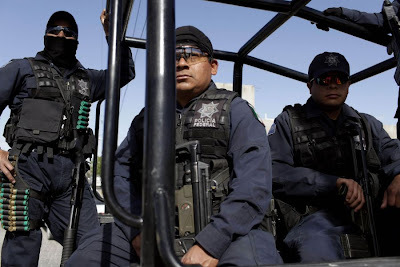 As we previously reported the Mexican government has sent about 3,000 police and military to the southern part of Chihuahua in search for the three kidnapped federal police agents. One of the missing officials was described as a high ranking officer with close ties to the Secretary of Public Safety Genaro Garcia Luna. Their names have not been disclosed for their own safety. All three had arrived to the area from Mexico City to conduct intelligence of organized crime. But despite the unprecedented number of troops involved in the search, all will not be that easy. With a population of about 6 thousand people, the little town of Benito Juárez, which is a municipality of Buenaventura, has never seen thousands of police officers from the Federal Police parading through their dirt roads. 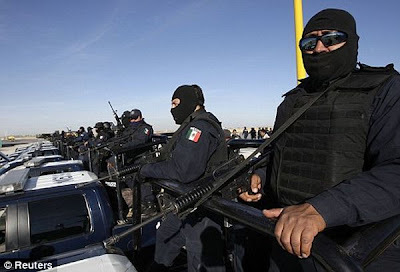 The town, located 170 km southwest of Ciudad Juarez, became the epicenter of the search for the three federal police officers apparently kidnapped this week by elements of organized crime, and whose vehicle was found under a bridge over a gap that leads to Ricardo Flores Magon. The mobilization has the inhabitants in total distress who are mostly engaged in the agriculture business. The town people are extremely fearful of the circumstances to the extent that they avoid, at all costs, talking to the police, the press or any "outsider" in the village. 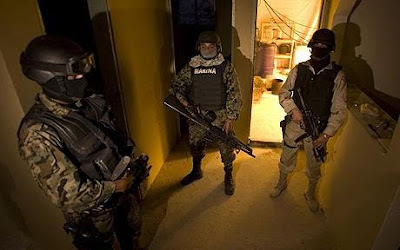 Staging raids in 19 states, the Justice Department struck this week at one of Mexico’s most ruthless drug-trafficking organizations, a cultlike group known as La Familia Michoacana and notorious for beheading its enemies. Calling it the largest strike ever undertaken against a Mexican drug cartel, Attorney General Eric H. Holder Jr. announced the arrests of 303 people in the past two days, the latest action in a four-year investigation. Law enforcement officials said the arrests and indictments would deal a major blow to a distribution network that trucked methamphetamine and cocaine to major cities in the United States, then sent cash and arms in the other direction. La Familia controls much of the drug traffic in central Mexico and terrorizes the population there, the authorities said, torturing and killing its enemies, including police officers, and leaving the bodies in public with cryptic religious messages saying the dead suffered divine retribution. Mexican authorities said that they arrested a leading drug figure known as El Rey after a shootout in Mexico City. 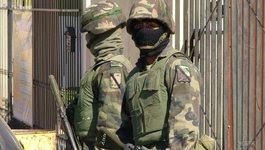 Almost two thousand federal troops who were previously assigned in Ciudad Juarez were mobilized to the northwest of Chihuahua State to strengthen the search of the three federal police intelligence officers missing this week. All apparent signs of a kidnapping from organized crime. 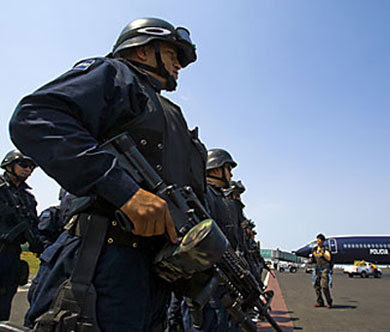 The 2,000 federal police joined a thousand police officers already in the area who arrived on aircraft on Thursday from Mexico City, said the spokesman for "Operación Conjunto Chihuahua." The Attorney General's Office (PGR), meanwhile, opened a preliminary investigation in the kidnapping of the feds who were conducting an operation in the town of San Buenaventura looking at activities from organize crime. The PGR joined the search after the federal police took control of the investigation. From the outset the police launched an intense search by land and air in the agricultural area of San Buenaventura. 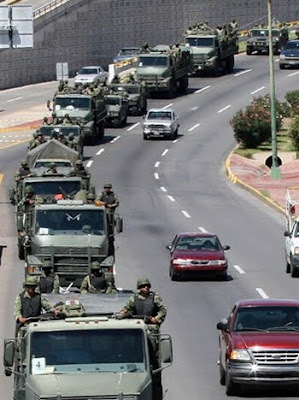 Every road and highways is being combed by the Mexican military in search for the feds. This area mainly consists of agriculture and has been an narco infested area for some time. The police should not expect a lot of cooperation from the town people for fear of retaliation. Eduardo Ravelo is described as a "ruthless killer" who has gone to great lengths to avoid law enforcement while contributing to the bloodshed that terrorizes the border between Texas and Mexico. Authorities say the suspected hit man with close ties to the Juarez drug cartel has shaved his head, undergone plastic surgery and even manipulated his fingerprints to elude capture. He heads the Barrio Aztecas gang, but Ravelo isn't flashy, FBI agents say. He keeps a low profile, living modestly. 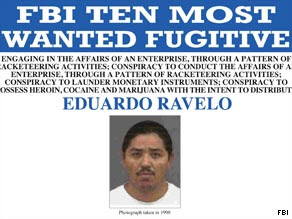 Officially, he's wanted on federal racketeering charges, but the FBI says Ravelo's criminal activities run much deeper. He is believed to be responsible for dozens of murders and assaults, as well as drug trafficking, extortion, weapons offenses and money laundering, FBI Agent Samantha Mikeska said. "He has no respect for human life," she said. Stunning, sad, depressing. This is how police reporters describe their coverage of the homicides during this year so far and just yesterday, the milestone surpassed two thousand murders. "We've have seen so many different types of deaths and so much suffering, it is so frustrating" said Raul Baylon, a reporter for Channel 2. Opposite to him is the street Alfonso Castañeda cordoned off where a member of the gang "Bambú 24," was executed along with Victor Hugo Dominguez. His cameraman and partner were the first journalists to arrive at the crime scene. Raul wears a vest that distinguishes him as a member of the news team for Channel 2. The hours are grueling, seldom are the moments pleasant and every day, the stress prevails. Perhaps the camaraderie among the journalists is what helps him to diminish some of stress of the depressing environment. The more than two thousand executions in Ciudad Juarez so far this year has forced reporters to change their work schedule and are even collaborating together when covering the murders. Security measures were intensified after the murder of reporter Armando Rodriguez, who was a teacher to many of the younger journalists. 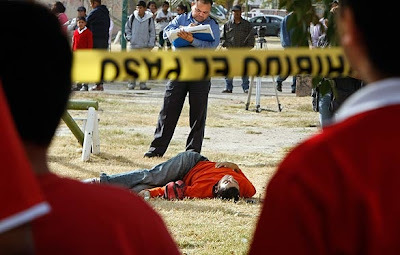 "There has never been so many homicides recorded in the history of Ciudad Juarez and, despite the high numbers on the previous year, I really thought that would be the biggest figure yet. But unfortunately the year is not over and we have exceeded last year number by around 400 victims," he said. To a degree their experiences has impacted how they see life in general, how much more they value life and they have learned to live every second to the fullest. "It's really shocking. To see on a daily basis all the crime scenes and how the sicarios (hit men) have been intensifying their method of torturing victims. They have witness headless bodies hung on bridges, people butchered into pieces, or victims just murdered while placing masks on their faces as if some macabre joke. It is indeed shocking,” he said. The hit men moved in on their target, shot him dead and then disappeared in a matter of seconds. It would have been a perfect case for José Ibarra Limón, one of this violent border city’s most dogged crime investigators — had he not been the victim. Mexico has never been particularly adept at bringing criminals to justice, and the drug war has made things worse. Investigators are now swamped with homicides and other drug crimes, most of which they will never crack. On top of the standard obstacles — too little expertise, too much corruption — is one that seems to grow by the day: outright fear of becoming the next body in the street. Mr. Ibarra was killed on July 27 in what his bosses at the federal attorney general’s office consider an assassination related to a case he was investigating. As if to prove the point, less than a month later, one of the lawyers who had worked for Mr. Ibarra also turned up dead. Two days afterward, an investigator named to replace Mr. Ibarra insisted on being transferred out of Ciudad Juárez, Mexico’s murder capital. The current prosecutor investigating Mr. Ibarra’s cases is working anonymously, his or her name kept secret by the government. The massacre of 18 people at a drug rehabilitation center near the Texas border is part of a final push by one drug cartel to finish off another some say. 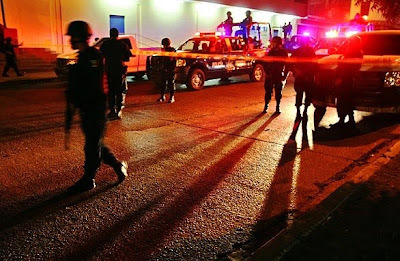 The killings – the largest mass slaying in recent memory in the country's most violent city – raised a three-day death toll in Juárez to nearly 40, despite the presence of 10,000 federal troops and police. 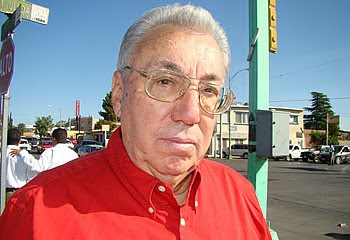 "We're witnessing the extermination of the Juárez cartel," said Alfredo Quijano, editor of Norte a Juárez newspaper. It is a war between the entrenched Juárez cartel and the rival Sinaloa cartel. "The Linea, or Juárez cartel, is down to its last line of defense." Sinaloa hit men are "killing people at will, hitting them like sitting ducks." Last August set a record for killings in Juárez, across the border from El Paso, with more than 300 deaths, raising the city's total for the year to about 1,500, and it has surpassed 1,900. Reputed Sinaloa drug lord Joaquin “El Chapo” Guzman Loera, accompanied by an army of sicarios (hit men), strolled into Juárez one day claiming the city’s lucrative smuggling corridor as his own, so the rumor goes. 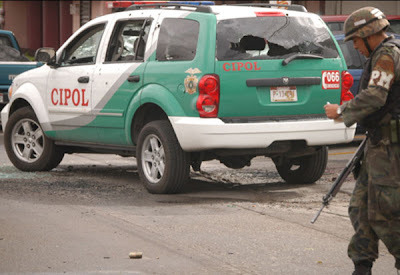 Whether true or not, Juárez and other parts of the state of Chihuahua have become ground zero in a battle over drug-trafficking routes that have been under the control of the Carrillo Fuentes drug organization for more than a decade. The violence, which has included kidnappings, car-to-car shootings on boulevards and victims pelted by machine guns in broad daylight, has left hundreds dead and has Juarenses looking over their shoulders as they try to go about their daily lives. What sparked the bloodshed in Juárez is unclear, but somehow agreements between the Sinaloa and Juárez drug cartels apparently crumbled, leading to fighting among smaller organizations. 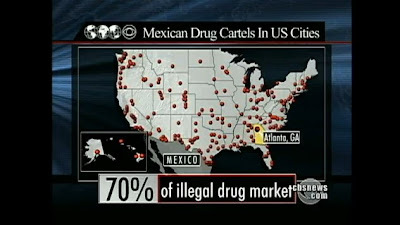 It is difficult to gauge the size of each of the drug-trafficking organizations, although it is clear that the estimated $10 billion in drug money and weapons that flows into Mexico from the United States each year supplies traffickers with enough money to corrupt authorities and to buy weapons, equipment and technology. The animosity between Chapo Guzman’s Sinaloa cartel and “La Linea,” as the Juárez cartel is also known, is evident as the death toll mounts, including several corpses recently found with threatening notes aimed at Guzman’s associates. “This will happen to those who keep supporting El Chapo. From La Linea and those who follow it,” stated a note found next to two men slain in the Loma Blanca area outside of Juárez. 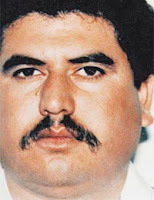 The suspected head of the Juárez drug cartel is Vicente Carrillo Fuentes, who is believed to have taken control of the organization after the 1997 death of his brother, Amado Carrillo Fuentes, who was nicknamed the “Lord of the Skies” because of his use of airplanes to smuggle cocaine. Vicente Carrillo Fuentes, 45, was indicted in 2000 by a U.S. federal grand jury on a long list of charges, including 10 counts of murder and the distribution of tons of cocaine and marijuana bound for New York, Chicago and other markets throughout the nation. A Mexican federal police, or PGR, commander identification card bearing a photo of Vicente Carrillo Fuentes was recovered by the FBI from a West El Paso home in 2000, El Paso Times archives showed. This crime scene had all the trademarks of narco style execution. 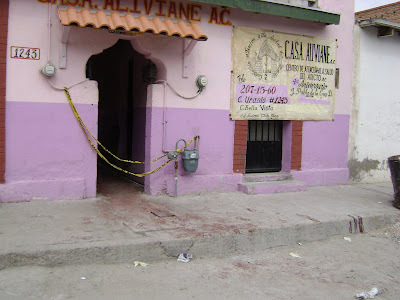 Executions in Mexico are common now days, in fact we could fill page after page of such brutality on this blog but this one had a characteristic not seen before. 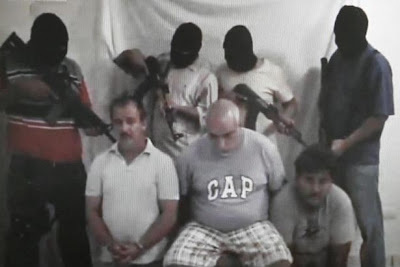 Right after a crack-down from the Mexican army against the armed body of the Gulf cartel the Zetas, three bodies of men executed gangland style were discovered along with a "narcomensaje." "We're the new group of matazetas and we are against the kidnappings and extortions, and we will fight against them in every state to clean up Mexico," read the message. 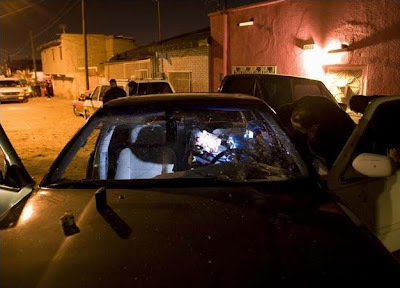 Four men of the group "La Línea" who were arrested in August, and who authorities from the task force Operativo Conjunto Chihuahua say confessed to at least 211 executions in Chihuahua, were order held only for the crimes of paticipating in organized crime and possession of firearm restricted exclusively to the Army. The federal court did not formally charged them for the actual murders. The federal judge had been appointed to hear the order of apprehension for murder against these sicarios (assassins for hire) but declined due to jurisdictional powers. 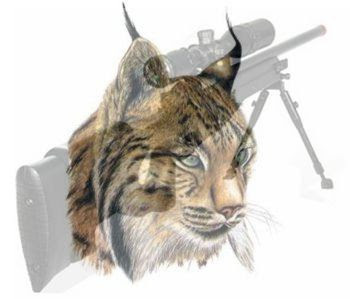 Los Linces (The Bobcats) are former soldiers of the Army's special forces and are now the main group of assassins (sicarios) of the Juarez cartel or the branch cell known as La Línea which are headed by Vicente Carrillo Fuentes. 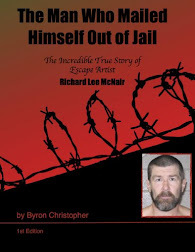 Just like Los Zetas of the Gulf Cartel, Los Linces operate with military tactics, they move in cells of no more than five to avoid being detected and are usually armed with sophisticated first class combat weaponry and equipment. Highly trained by the Mexican Armed Forces, Los Linces sole role is to execute targeted victims. They speak with no one within the criminal organization except for the kingpins of the Juarez cartel. Very few people within the Juarez Cartel know of their whereabouts or know anything about their identity, but inside La Línea they are feared. This group of assassins consists of up to 80 active members. They are recruited from different parts of the country such as Sinaloa, Veracruz and other parts south. The federal Attorney General's Office (PGR) has not officially confirmed their existence but testimony from suspects that have been arrested and witnesses under the protection of the government have provided information of their presence. What is the most photographed event in the US? The Albuquerque International Balloon Fiesta? You would think. 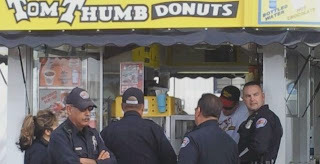 How about some APD officers in line for doughnuts at the Tom Thumb Donuts stand? Yours truly caught in the act while taking a break from working double shifts and some very longs hours directing traffic. I turned and saw a few tourist with their cameras pointed at our direction. I though to myself "why are they taking pictures of us?" The hot air balloons are in the opposite direction. Lesson learned; avoid the doughnuts shops at the balloon fiesta because everyone there is armed with a camera. The criminal organization is a straight line, they say. All the drug dealers, hitmen (sicarios), the police who protect them and the mules who carry the cocaine to the U.S. must all be aligned. The Juarez drug cartel created a new term used to describe their organization. They call themselves "The Line" (La Línea). Nobody knows exactly why they used that terminology, but everyone likes to give its own interpretation and meaning. And they all fear it. "I am in La Línea," say druglords who suddenly seem to easily avoid any problems with police or are able to pass through check-points with no problems. "I have joined La Línea," new drug dealers confess to their friends when they join the organization. "In that truck are traveling members of La Línea", often people say who are familiar with the name. It's a new terminology used often in Ciudad Juarez. But perhaps it's more than that, it's a concept. This morning the city of Ciudad Juarez pinned new badges to 377 police cadets who finished four months of basic training to become municipal police officers in the ninth class of the municipal police Academy. The ceremony was held at the Benito Juárez Civic Plaza in the company of relatives and various municipal leaders including Mayor José Reyes Ferriz. The new officers pledged that they will provide service to the community based on values and discipline instilled in them in the classrooms of the academy. "We must show our community that we are the new blood and eager to show people that they can trust us from now on," said newly sworn Fernando Varela. One 'Bulletproof Lawyer' survived four assassination attempts before being gunned down. Such unsolved killings highlight the violence within a judicial system manipulated by powerful drug cartels. Silvia Raquenel Villanueva, once hailed here as "the Bulletproof Lawyer," could outrun the bullets no longer. Villanueva, one of Mexico's most controversial attorneys, was shopping in Monterrey in August when hooded gunmen with automatic weapons tracked her down amid stalls of handbags, perfume and videos, then pumped more than a dozen shots into her body. The killers delivered a final shot to the head before fleeing the covered market, busy with shoppers at midday on a Sunday. Villanueva, 56, a single mother known for her combative courtroom manner and for having survived four attacks, was probably the best known among the ranks of Mexican lawyers who practice a particularly dicey specialty: defending accused drug lords. That club shrank even more later that month, when killers slit the throat of another prominent defense lawyer, Americo Delgado, as he left his home office outside Mexico City. There have been no arrests in either slaying, and Mexican authorities have offered no motives. Officials have not said whether they believe the cases are related. The unsolved killings have focused attention on the lives of the so-called narcoabogados, or "narco-lawyers" -- important but often-overlooked players in the drug wars that have roiled Mexico for nearly three years. The evolution of narco-lawyers and the violence they increasingly face highlight the weaknesses of a judicial system that is all too often manipulated by powerful drug cartels. Palomas Mexico is a small dusty border town on the other side of Columbus, New Mexico. Some of you are familiar with Columbus New Mexico right? Hidden in plain sight at the seemingly prophetic intersection of Interstates 9/11, lies the town of Columbus, nestled firmly in the footprints left by the dramatic events that transformed the United States at the turn of the 19th Century. The sleepy little border town of Columbus is notorious for being the last town in the Continental United States that was invaded by a foreign military force. 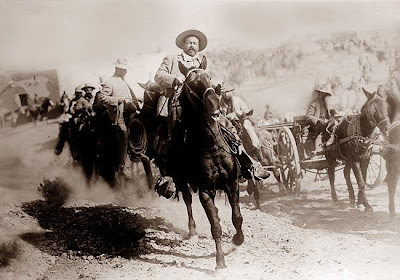 On March 9, 1916 Mexican revolutionary leader Francisco "Pancho" Villa led five hundred men in an attack against the town, which was garrisoned by a detachment of the U.S. 13th Cavalry Regiment. Villa's army burned a part of the town and killed eight soldiers and ten residents before retreating back into Mexico. It was reported that over 100 of Villa's men were found dead. On the other side of the border from Columbus is it's sister town of Palomas, a quiet small town that draws US tourists who come here for the cheap dentist and eye exams, and to buy souvenirs while drinking a beer at the corner taco stand. But don’t be fooled by the empty quiet roads and an occasional tumble weed moving across the dusty roads. The tourist have almost completely stop coming to Palomas particularly in fear of the crime wave that has been reported by the main stream media, particularly in neighboring cities like Ciudad Juárez. But little do people know that the small town of Palomas has one of the worst murder rates in Mexico. While Ciudad Juárez a city of 1.5 million, just 80 miles east, had 1,600 drug-related murders last year, Palomas was statistically more dangerous with 40. One moment it can be deadly quiet and another moment it can be deadly, , , , well, , , , deadly. There is no doubt that the eerily tranquil Palomas, a town of 8,500 scared residents, is suffering from a decline in revenue from a lucrative tourist industry. And although seen from the outside Palomas seems peacefully quiet, deep from within, another business is bustling with activity. Organized drug cartels are fighting for dominance in one of the very few left over unguarded point of entry ports in to the US. The drugs cartels have made their presence known, being driven out of places like Ciudad Juárez which has a large remarkable military and federal police presence. In the US many times we find ourselves complaining about the judicial system when it comes to dispensing justice on repeat offenders who commit violent crimes. It seems like there appears to be a revolving door in the judicial system when we see violent offenders re-offend time and time again. We get so frustrated when we see or read in the media about yet another incident of a senseless crime committed by a criminal that has a lengthy criminal record. But consider the latest arrest of a hit-man (sicario) who was arrested by the Mexican army in the crime ridden city of Ciudad Juarez. Arrested was Juan Pablo Castillo López aka “El Pelon” who is a known member of the notorious gang “Los Azteca” or “Los Carnales.” The military had detained him while he was driving a white late model Chevrolet Tahoe and inside they found an assault rifle AK-47 (known as “cuernos de chivo”) and three handguns along with ammunition. The Tahoe was rigged to conceal weapons and drugs. In one of the secret compartments police found a total of 12 kilos (in 24 packages) of marijuana. In addition the vehicle had an electronic device used to disperse nails when being pursued by police or enemies. The vehicle was modified as if from a James Bond movie. 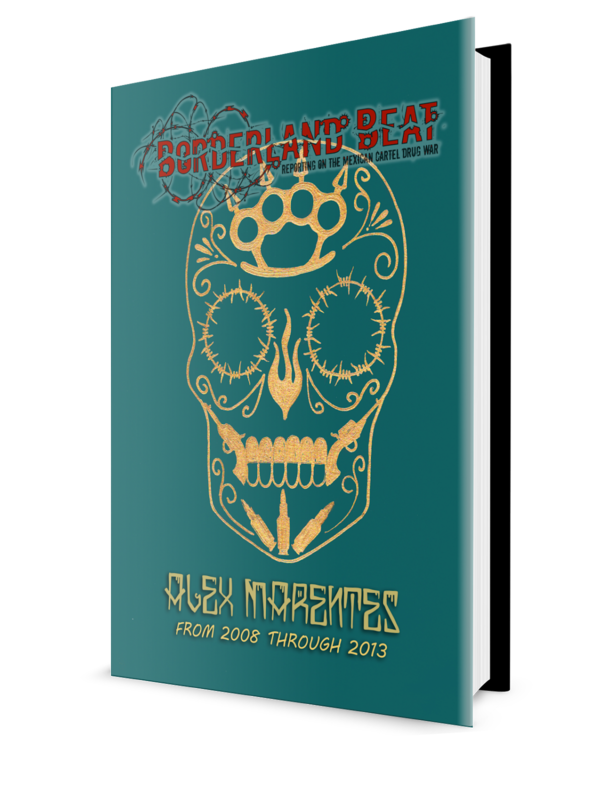 In December 2008, Los Zetas captured and executed eight military men in Guerrero, a violence-torn, impoverished southern state where a “dual sovereignty” exists between the elected government and narco-criminals. Pictures of the decapitated cadavers lying side-by-side flashed around the world on television and YouTube. 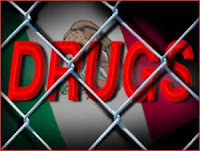 Drug cartels seek to demonstrate that no one is beyond their reach; that is, that they possess the capacity to kidnap, torture, and execute individuals with decades of experience in fighting guerrillas and other malefactors. In February 2009, the paramilitaries killed retired Brigadier General Mauro Enrique Tello Quinones. They broke his arms and legs before driving him into the jungle and executing him; his corpse and those of two aides were discovered two days after the mayor of Cancun hired Tello Quinones to form a swat team to fight such criminals. Tabasco’s Governor Andres Granier has had trouble keeping military security chiefs because of threats from the underworld. Retired Major Sergio Lopez Uribe is the fourth ex-member of the armed forces to function as the state’s secretary of public security. Today is Election Day for the city’s mayoral race that includes incumbent Martin “Marty” Chavez, Richard Romero and Richard "RJ" Berry. The Albuquerque Journal polls show that Berry a Republican leads with 31%, while Democrat Chavez is at 26% and Democrat Romero is at 24%. Martin Chavez has name recognition and had been consider a “shoe in” coming in to the campaign but this election year things have taken a new surprising twist. Both Romero and Berry have come after Chavez swinging everything they can muster and the effecting result is visible in the poll. One of the most sticky points and controversial issues that have been raised is if Albuquerque is a “sanctuary City.” A sanctuary city is a term given to a city in the United States that follows certain practices that protect illegal immigrants. These practices can be by law (de jure) or they can be by habit (de facto). The term generally applies to cities that do not allow municipal funds or resources to be used to enforce federal immigration laws, usually by not allowing police to inquire about one's immigration status. The designation has no legal meaning. Mayor Chavez has been criticized for enforcing a city policy that supposedly prohibits city police from questioning suspected foreigners of their legal status. For some time now the local media has been having a field day reporting the issue of immigration and the city police that some say makes Albuquerque a sanctuary city. According to a report on KOB-TV, Albuquerque Police Department officers who find illegal immigrants will no longer contact federal immigration agents or the Border Patrol. Violence in Cuidad Juarez (Chihuahua state) continues. 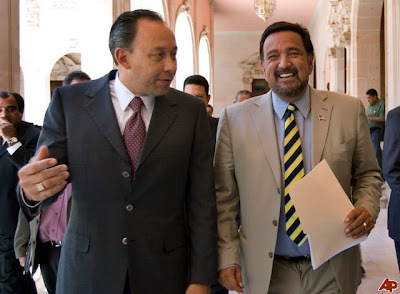 Juarez remains President Felipe Calderon's biggest challenge. Right across the border from El Paso, Texas, the violence in Juarez cannot be ignored by US media. The government is relying on the military to provide security for the people and to battle the drug cartels. When the military reinforced its presence in Spring 2009, initially violence dropped. Now the cartels have figured out that Juarez is a key “information warfare” battleground. 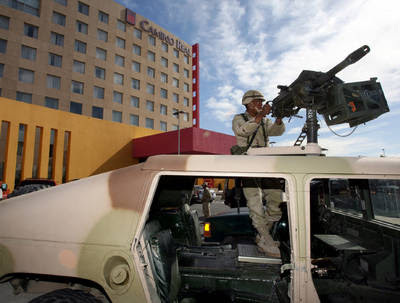 The government currently has 7,000 troops and 3,000 federal police in and around Juarez. That may seem like a lot of troops but Juarez has a population of around two million. In a counter-insurgency operation, one soldier for every 50 people is a good planning figure. That would mean the government should put 40,000 troops and police in the area. What has happened is the cartels have reinforced Juarez and at the moment they have the power to raise the level of violence in the city to a “near insurgency” level. 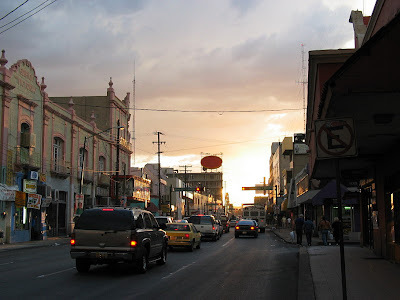 The cartels can't do this everywhere, but since the government decided to make Juarez a major effort, the cartels appear to have made the city their maximum effort. 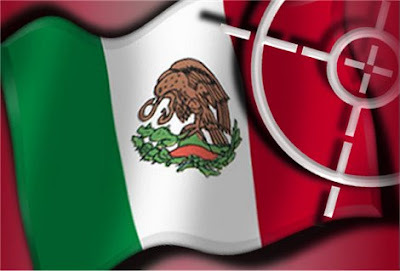 U.S. businesses are reporting threats by extortionists claiming to be members of drug cartels, a sign that criminal tactics common in Mexico are showing up north of the border. This week alone, at least two El Paso businesses reported to police calls they had received from a man identifying himself as a Zetas commander working for the Gulf cartel. One man, in a "bullying voice," called an El Paso businessman and demanded "$50,000 immediately, or the next time we'll see you, it will be at the funeral of a loved one," the businessman said. Police said the caller may have been someone posing as a cartel member, hoping to use the fearsome reputation of the drug-trafficking groups operating across the border in Ciudad Juárez to extract money from businesses in El Paso. El Paso police spokesman Javier Sambrano said he believes the incident is a "scam, with people trying to take advantage of the situation here in the community, specifically in Ciudad Juárez." A Chihuahua state police officer was shot in the head and killed early Friday morning outside her Juárez home, state police reported. Claudia Elizabeth Valdez Reyes, 27, was killed just after 5 and was found dead on the sidewalk at 1253 Plan de Ayala street, in the colonia Exhipódromo. Authorities recovered three 9mm casings at the scene. Valdez Reyes, a crime scene investigator, started working for the state police in January, according to the Chihuahua state police report. In 2007 the drug cartels started encouraging desertion in the Mexican Army. The army had proved to be the government's most formidable weapon against them, so the cartelistas began offering money to soldiers to desert. Undermining the military isn't the only reason. Soldiers have tactical skills the cartels can use, like knowing how to shoot weapons and at least the basics of small unit operations. There is no evidence that the cartel's promised bribes are succeeding, other than boasts from Los Zetas (the Gulf cartel enforcers who increasingly act as a special paramilitary gang with connections throughout Mexico). The Zetas were formed by deserters from the elite Grupo Aeromovil de Fuerzas Especiales (GAFES), an airborne and airmobile outfit with special forces capabilities. Desertion, however, is an old problem in Mexico and when you consider the statistics, it is a chronic problem. 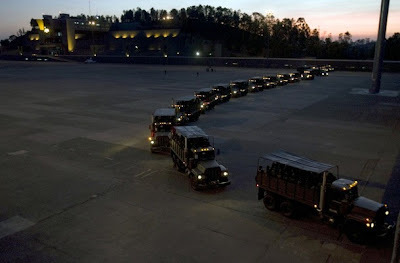 In the five year period before the cartel war kicked off (January 2002 through December 2006), the Ministry of Defense said that 140,000 troops deserted the military. That is around 2000 a month. The figure from January 2007 to mid-2009 is 48,000, or roughly 1500 a month. The armed forces has about 600,000 troops, have on active duty and the rest organized reserves.